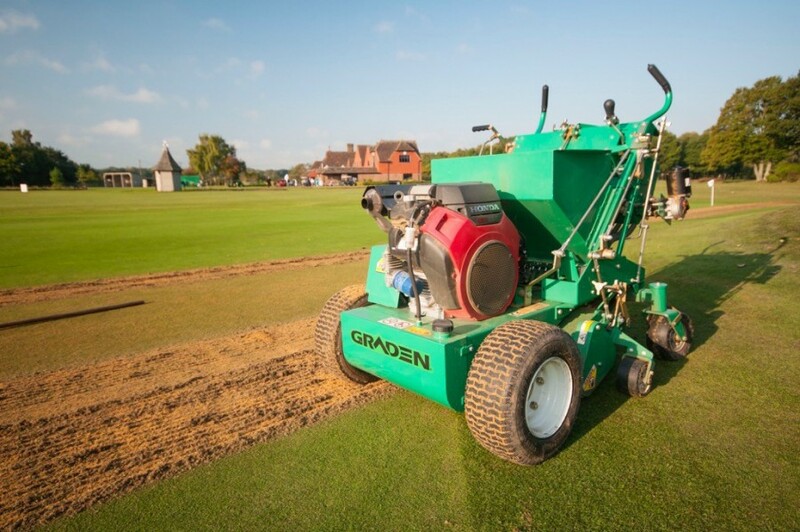 The Redexim Rink range available from Charterhouse Turf Machinery includes both broadcast topdressers, that use spinning discs to distribute material, and brush dessers that evenly ‘drop’ the material onto a surface. The range encapsulates a variety of sizes and spreading widths from 0.95m to 15m. This Rink DS800 twin-disc topdresser spreads material up to 12m wide and can successfully operate light, heavy or wet applications. It features a hopper capacity of 0.8m3, and the benefit that the spreading pattern and density - determined by the tractor spinner and conveyor belt speed - can all be controlled easily from the tractor seat. 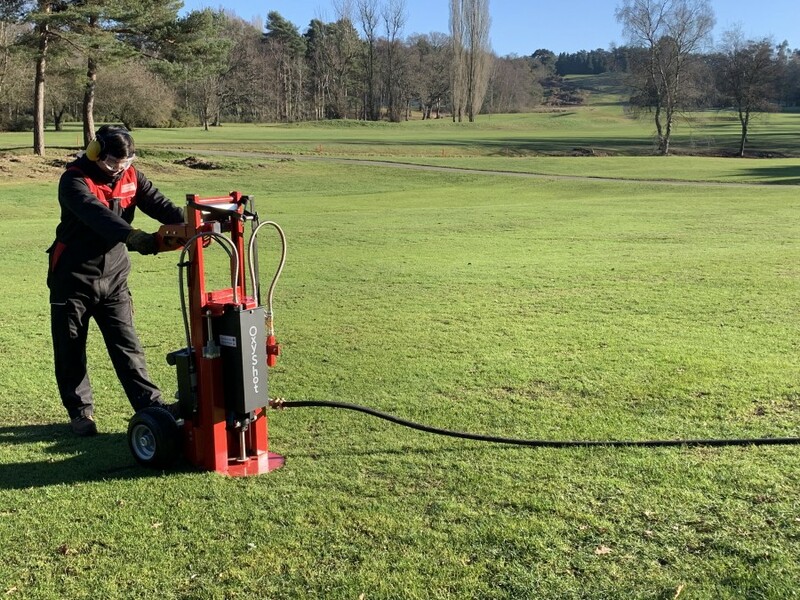 The DS800 model can be trailed behind a 30hp compact tractor with the benefit of 4 wheels on an articulating axle, making it ideal for tight contour following, especially useful when spreading on or around greens. Alternatively, it can be fitted to a John Deere ProGator or Toro Workman truck for a lighter footprint. It has a variable spread pattern and delivers an accurate finish thanks to the dual spinners which can apply precise amounts of material, even if the material is wet. This top dresser’s shallow hopper configuration prevents material ‘bridging’ or sticking and has the benefit of a hydraulic rear door as standard.Whether the machine is being used for a light, heavy or wet application it spreads very evenly, resulting in efficient and quick operation.